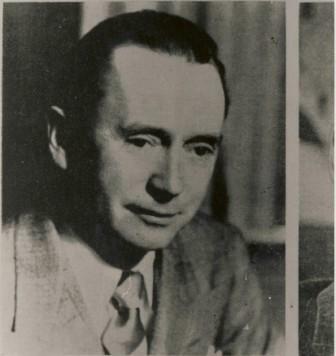 Joseph B. Ryan was instrumental in the organization and management of many football clubs. In 1932 he engineered the amalgamation of the Winnipeg “Winnipegs” Rugby Football Club and the St. John’s Rugby Club. In 1933 the team won the Western Championship and in 1935 became the first Western team to win the Grey Cup. Joe Ryan was in the East during the 1940’s and assisted in the organization of the Montreal Hornets in 1944 and the Montreal Alouettes in 1946. With the help of some clever scouting Montreal went on to win the Grey Cup in 1949. Joseph B. Ryan was the Western Representative on the Canadian Rugby Union Rules Committee for 14 years. In 1945 he was honoured with the CRU Plaque for Outstanding Service. He is a member of the Manitoba Sports Hall of Fame and Canada’s Sports Hall of Fame.